ALS (amyotrophic lateral sclerosis) is a neurodegenerative disease that causes disability and can lead to death. It is considered progressive and incurable. It is often referred to as Lou Gehrig disease, named after the Yankee baseball star of decades ago whose career was cut short by ALS. ALS begins with minor muscular control issues then progresses until one is completely disabled, even unable to consume food or breathe. It can be a slow, miserable death for many who are stricken. ALS diagnoses have been increasing, and the pharmaceutical industry has no cures. A recent animal study looked into the potential of coconut oil for preventing or reducing ALS symptoms. 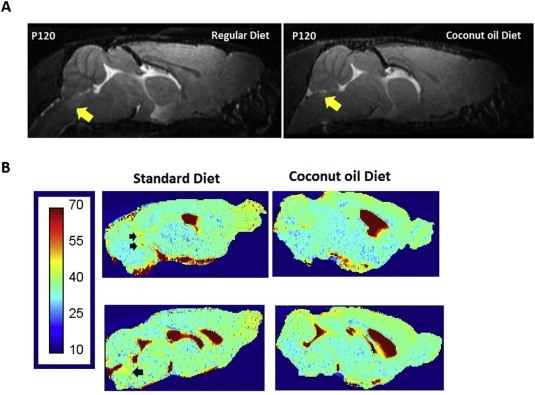 The results of the study were positive, and revealed that the coconut oil supplementation together with the regular diet delayed disease symptoms, enhanced motor performance, and prolonged survival in mouse models. The baby-boomer era generations are aging in large numbers, and those aging are most prone to neurodegenerative diseases such as ALS and Alzheimer’s disease. Virgin coconut oil is safe and carries even more nutritional benefits in addition to neurological protections.